Disclosure: This post is written in partnership with BIC. All opinions are my own. School supply shopping! Honestly, one of my favorite parts of back to school is shopping for new school supplies. 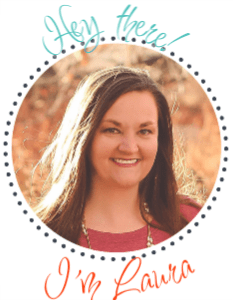 The smell, the deals, the excitement and the bright awesome colors, just give this teacher life! 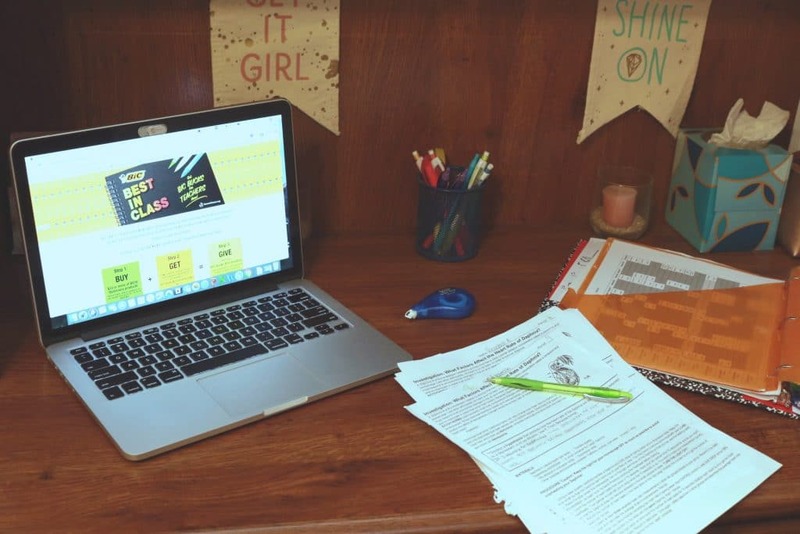 Recently, I learned that BIC® and Donors Choose are partnering to get back to school and give back with the BIC® Bucks for Teachers program. As students and teachers head back to school this season, BIC USA Inc. has pledged to donate $100,000 to DonorsChoose.org. Donors Choose is a crowdfunding site for public education teachers and one that I have used and had great success with in the past. Supporting this program is very simple. 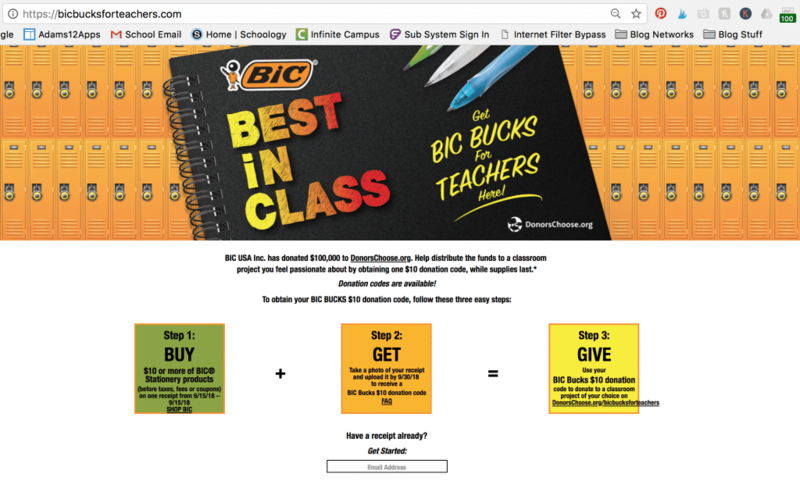 Consumers just need to head to their local store, purchase $10.00 or more of BIC® stationary products (before taxes and coupons), take a photo of their receipt, upload to bicbucksforteachers.com, get a $10 BIC Bucks donation code back and then donate to a classroom of their choosing on the Donors Choose website! 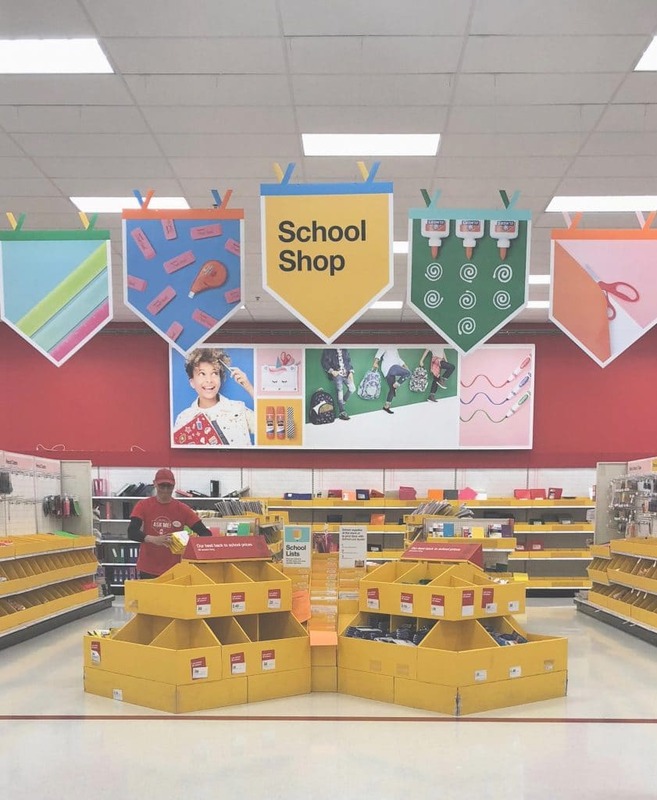 The program runs through September 15th and is a great way to give back to classrooms around the nation, while stocking up on school supplies. 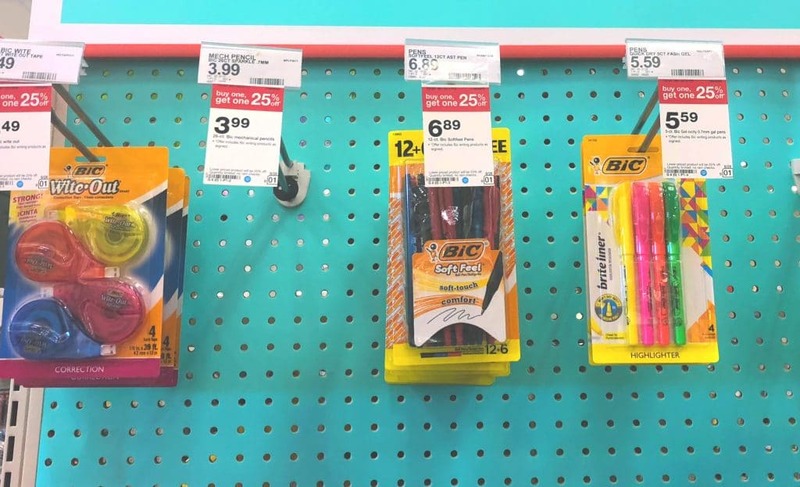 Look, I need school supplies in addition to what I purchase for my own kids. 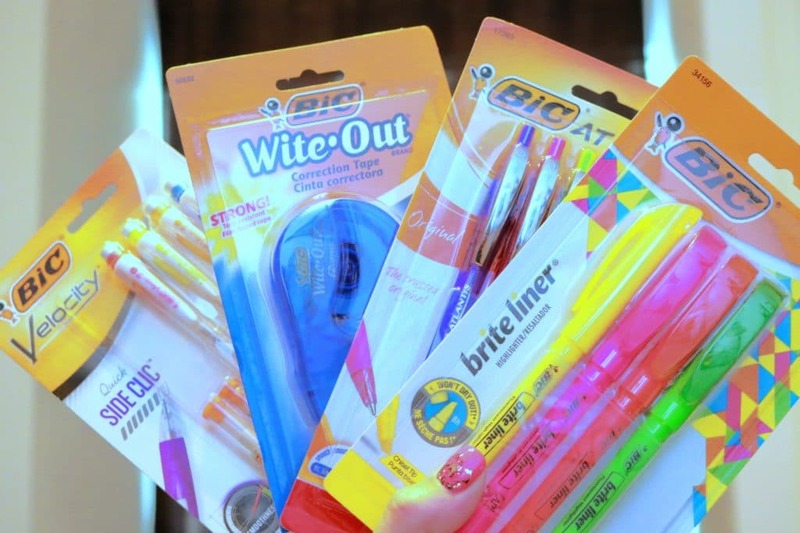 I use BIC stationary products for everything, from white out, to highlighters, pencils and more. It was a no brainer for me to head to the school supplies section at my local store and grab hold of the items I use most. Even better, sales! I was able to purchase even more than I had budgeted for, for my classroom and came home able to donate BICs Bucks to other teachers looking to fund awesome, engaging materials for their students. Once home, I headed to the BICs Bucks for teachers website and uploaded my receipts to get my codes. The process is simple and only took a couple minutes. Now I am just waiting for my codes to donate to the classroom projects of my choosing with Donors Choose! We all know that education is underfunded and teachers are pouring everything they have into their classrooms, including their paychecks. Education changes, new innovations come out and incredible ideas are always abound. However, our personal budgets make it difficult to make those innovative ideas come to life. Donors Choose has created a platform for teachers to create projects that donors can then fund after reading about the needs from the teacher and the ways in which the teacher plans to use the materials. Often projects are relatively small asks in terms of donations. The project I put together a few years ago was only for $300.00, but when you are a teacher, that is a lot of money to put into your classroom. Donors Choose has helped make dreams come true and brought more life and excitement into classrooms than donors probably even realize. 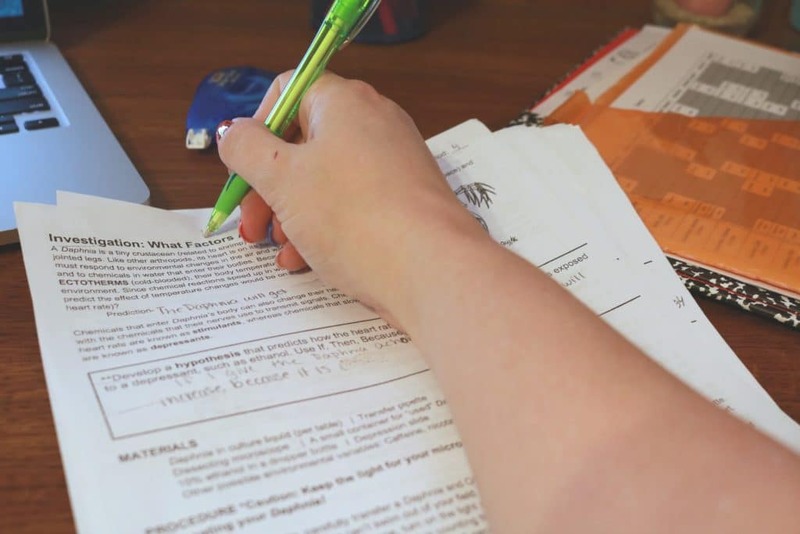 The amazing opportunity that BIC is providing by partnering with Donors Choose is a way for people to easily give back with just a receipt for items they are likely purchasing for back to school already. I am proud to use BIC® stationary products in my own classroom and even prouder that I can give back to other classrooms with Donors Choose. It made a difference in my classroom and I know many teachers and students that have benefitted from this crowdfunding platform as well. 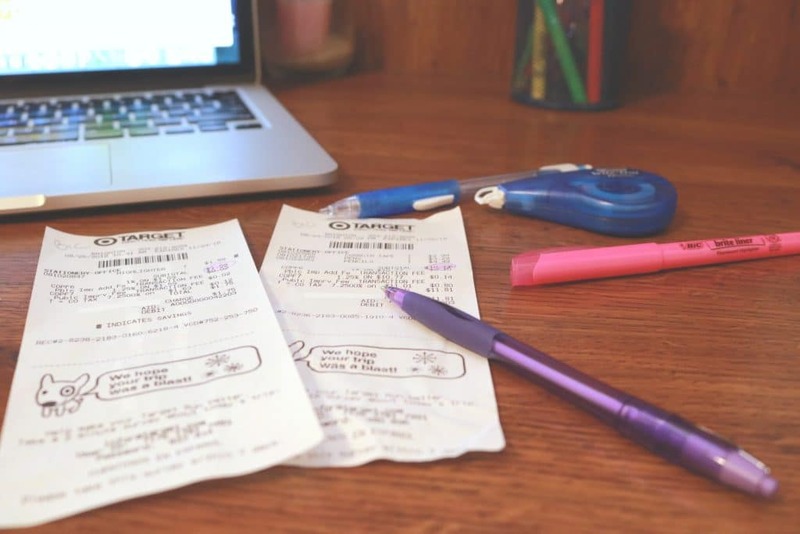 Take a minute to look through your back to school receipts and see how you can make a difference in a classroom today! Get to the Stores, buy some BIC® stationary, upload those receipts and give back! Previous Post: « Disney Cruise Cabo Beach Break, Is it Worth it?